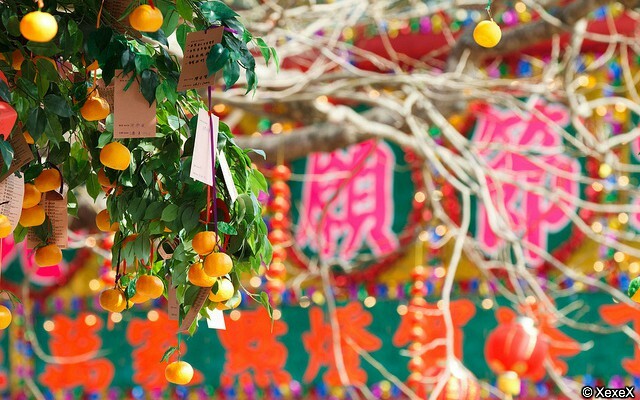 Hong Kong's Well Wishing Festival is very much a part of the Lunar New Year Celebrations and a long-established tradition. 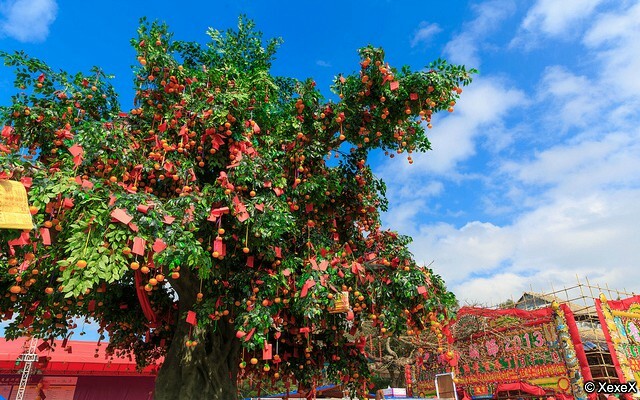 Locals will come to Lam Tsuen in the New Territories to wish for good luck for the New Year and it's a great chance for you to get involved in the local colour and flavours of the ongoing festivities. 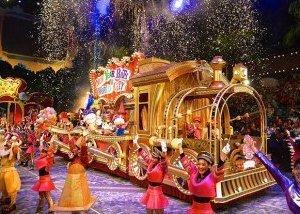 In fact, if you will miss the main celebrations on the first and second day of the New Year, this is a good place to "catch up", as the floats and performing troupes from the parade will be here, and it will be firecrackers and lion dances galore throughout the carnival which lasts for a couple of weeks into the New Year. 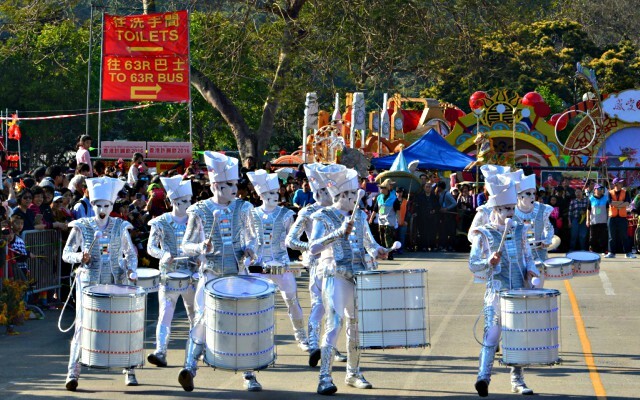 Although not exactly right around the corner, Lam Tsuen can be easily reached with the MTR which brings you nearby the main square where the festivities take place. 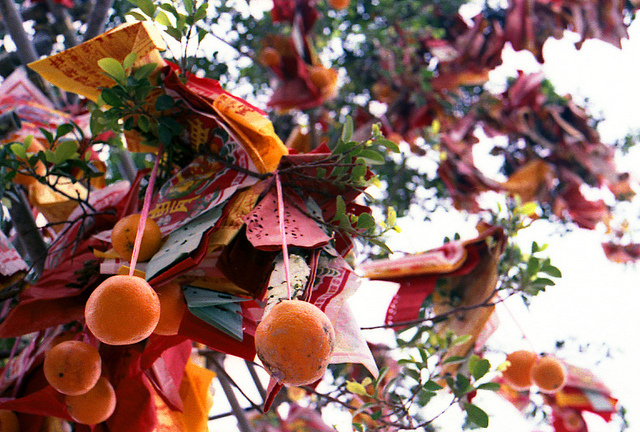 The message should succesfully catch on one of the branches and remain hanging for your wish to come true! You will see a lot of the local folks participating in this event. They come to pray for a variety of wishes: a baby, better jobs, spouses for their sons and daughters, good results in school, wealth and prosperity, etc. Along with the message-writing and tossing, there is a lot of incense burning, chanting, and overall a very happy and lively atmosphere. Releasing a Wishing Lantern is another popular tradition where water lanterns are released into the Lam Tsuen canal. 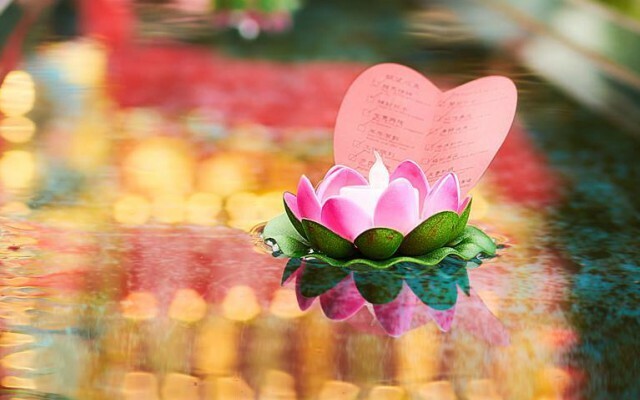 There are lighting ceremonies throughout the festivities and just walking along the river surrounded by a sea of beautiful lotus lanterns carrying the good fortune for the New Year is quite an experience and a beautiful sight at night. 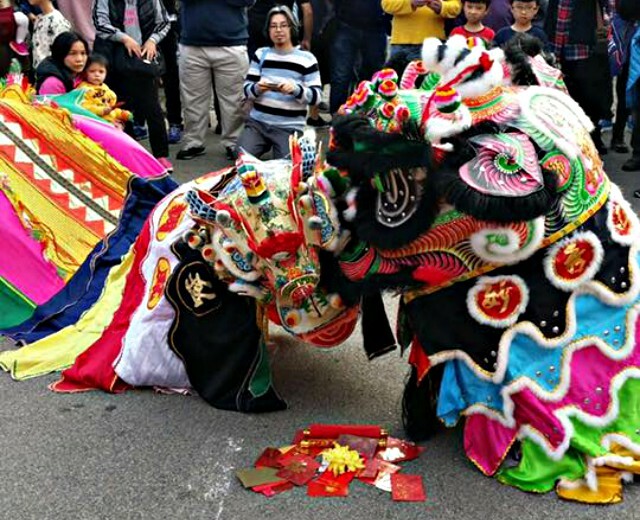 If you missed the Chinese New Year Parade on New Year's Day, you get a second chance here as all the floats will be on display at the Festival. There will also be performances by the groups that participated at the parade, troupes from all over the world sharing in their cultural heritage. So all in all, the Well-Wishing Festival in Lam Tsuen is a great way to spend the day away from the urban hustle and bustle, enjoying some of the local traditions and sampling lots of delicious local snacks. 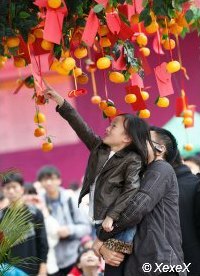 The festival typically runs for the first couple of weeks of the Lunar New Year starting on New Year's Day. The cultural performances, folk exhibitions, and food stalls will be happening throughout the entire period. How Much? Most events are free, there is a fee for special banquets and feasts. This is the official site of the Hong Kong Well-Wishing Festival (site in Chinese) or follow their Facebook Page for latest news.